Ofgem have said it has opened cases into 4 companies, but has asked 7 more to show that they are improving their practices. Ofgem have revealed it has opened compliance cases into 3 UK Suppliers over poor handling of customer complaints. First Utility, Ovo Energy & Utilita have all come under fire for plummeting satisfaction scores in Ofgem's bi-yearly complaints handling survey. It comes just 2 days after Ovo announced plans to scrap its online discount in favour of newer scheme that will actually pay customers to avoid its email and customer services line. Ofgem have also confirmed they are looking into ScottishPower's complaints handling based on its latest findings. As well as the above, Ofgem have stated that they have asked all other domestic supplier surveyed - British Gas, Npower, Utility Warehouse, SSE, EDF Energy, E.On and Co-Operative Energy - to provide improvement plans on how they will deal with future complaints and provide appropriate updates. The survey of over 3,000 complainants found that satisfaction improved since the last survey in 2016, with a third of domestic customers satisfied with how their complaint was dealt with. 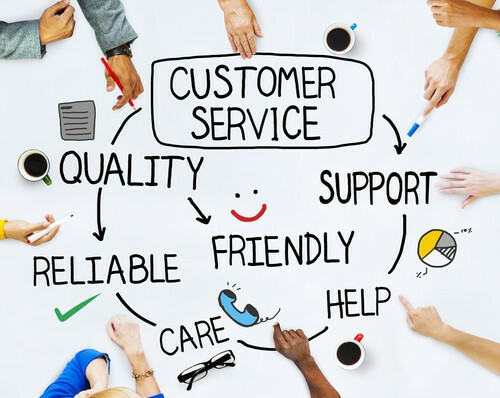 However, the survey found that the proportion of the customers who are dissatisfied (57%) remains higher than those satisfied with how their complaint had been dealt with. Ofgem's investigation comes after the country's 'worst' provider Iresa was banned from taking on new customers earlier this year over plummeting ratings. The company later collapsed, pushing 100,000 customers over to Octopus energy. The main contributors to high levels of dissatisfaction were the length of time taken to resolve the issue, not being kept up to date with the progress of the complaint and suppliers not providing complainants with a clear view of how long the resolution will take. "Although the level of satisfaction about complaint handling has increased over the past 2 years, it is still unacceptably low. Some Suppliers need to be doing considerably more to get the basics right and provide a service that their customers deserve," explained Dermot Nolan, Ofgem's chief executive. "We will be monitoring the level of all suppliers' customer service performance, particularly closely after announcing proposals to introduce a price cap to protect those on poor value default deals from being overcharged. We are ready to - and will - act against those who fail their customers" Dermot Nolan added. Matthew Vickers, Chief Executive at the Energy Ombudsman said the pledge could save millions of households from woes ahead of the coldest months of the year - but added smaller, independent providers should also be taken into account. Matthew added: "One area of concern for us is that complainants are still given what the report calls "very little information" about third-party solutions and alternative redress route such as the Energy Ombudsman. Only 15% of consumers with unresolved complaint were sent a letter by their supplier referring them to us - the same proportion as 2 years ago." Anyone that has a complaint about their energy supplier should raise the issue with the firm directly to allow them a chance to resolve it. If, however, after 8 weeks you've not received a response or you're unsatisfied with the outcome, you can, by law, escalate it to the Energy Ombudsman free of charge. If it agrees to take on your case, it will send a response within 6 to 8 weeks. Victoria Arrington at comparison website, EnergyHelpline, added: "If you feel that your supplier's service is lacklustre, then you can easily switch to a top-rated supplier, which could offer you great value for money. The latest stand from Ofgem shows that although customer service is improving overall, suppliers still aren't getting it quite right. This is turning up the heat on the Big Six suppliers. More and more customers are voting with their feet - in June nearly half a million of us switched. At the end of the day, when it comes to energy providers there is little reward for loyalty, so if you aren't satisfied, go elsewhere. It's so quick & easy, there's no reason not to." If you are unsure whether you are paying to much for your energy, click here to see if you can save.